iMac | The Small Wave. As of right now, and always subject to change. You’ll notice I subscribe to a minimalist model on the Macs. 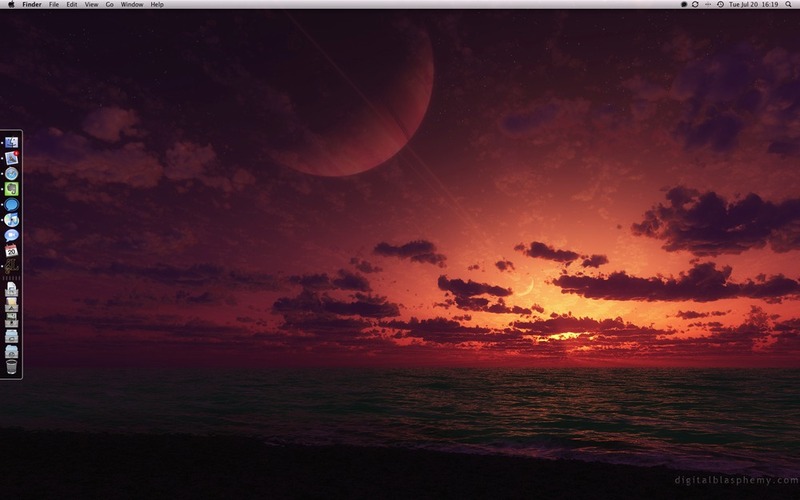 I prefer my desktop, Dock and menu bar relatively clean and uncluttered. 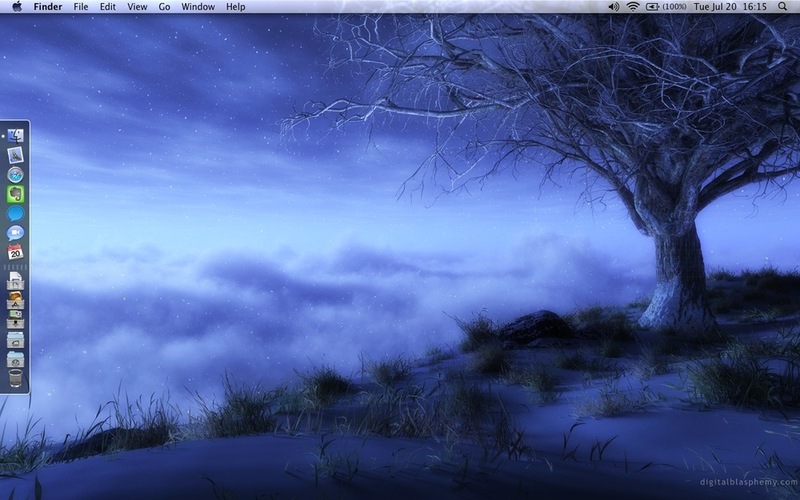 Also, my MacBook and iMac cycle through a folder of wallpapers with the MB’s theme being blue, the iMac’s red. In marked contrast to the disappointing Mac mini update today, the iMac’s upgrades make great strides in keeping the value proposition for this excellent desktop system. Apple’s iMac and New Nano: Separated at Birth? OK, with all the wailing and gnashing of teeth from the likes of Thurrott, Enderle, and analyst Shaw Wu about yesterday’s Apple announcements (I think these guys are wrong), I thought I’d lighten things up a bit with something that struck me about the new nano design. First, they all have a black band around the screen like the iMac. The silver one takes the iMac cues further, not only by matching its color (duh! ), but also by having a black scroll wheel (except for the black nano, the others have a white wheel). I find the silver nano’s black wheel stands out like the Apple logo on the iMac, making quite a family resemblance. Another Day, Another iMac Wannabe. 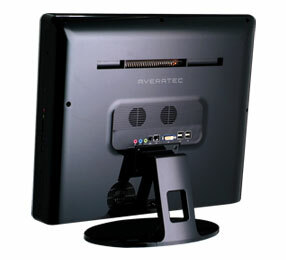 There’s a new iMac competitor in town from Averatec. It’s name is incredibly bad if not descriptive: All-In-One PC. Regarding other iMac wannabes, Gateway’s One was rather unimpressive in the specs department, but Dell’s One (yes, the same name as the Gateway) seemed to be a worthwhile machine. I wrote up the Dell here, but as you can see in that post’s subsequent updates it turned out to be a bit of a bust. So let’s look at this latest entrant in the iMac ring. It’s clear the strong points are supposed to be design (looks like a black iMac from the front), non-iMac features, and price. But it’s hard to examine this box and be very impressed. Unlike the iMac, the AIOPC uses a desktop class Core 2 Duo instead of the mobile version, After the Dell, however, I’m not falling for that again. First, it only runs at 2GHz; the iMac’s processors soundly beat that. Second, the desktop models run hotter, which should be obvious by looking at the sides and back (above) of this thing. It’s deep, and the back is ugly with three sets of holes. Needs to be, though, in order to support the larger thermal envelope of the desktop CPU. So why use a desktop processor? I’m assuming cost. Sounds nicer than the 20-inch Apple offers at the same price, but it’s just 1680 x 1050, same as the iMac. 2GB RAM expanadble to 4GB. This is something Dell also pushed, and it doesn’t seem to be helping the Dell any. Further, it’s listed as optional but I cannot find a price for it on the web site. Wireless is b/g, not the “n” variety. In my opinion, these are pretty big communications drawbacks for a “modern” machine today. I guess you can watch movies with the built-in tuner, but there’s no sense importing your own video because your kids are too ugly to film anyway (and don’t even get me started on your pets). It’s an nVidea chipset, but how much video memory is a mystery. Built-in 6W amp for the speakers? Please. Sure, the iMac is no powerhouse but it’s 24W amp drives the speakers pretty darn well. At least Dell tried to counter iLife via an Adobe software suite. Averatec doesn’t try to compete here at all. They include nothing. Ouch! I just don’t see the attraction in this thing, especially at the price. It starts at the same $1199 as Apple’s iMac, and doesn’t offer much. A few more USB slots, a media reader. These are nice to have maybe, but over a better processor, firewire, audio and networking? I don’t think so. Heck, even if they threw in the TV tuner I’d still feel the same way. Regarding performance, at the same price Apple’s base model — with it’s 20% faster processor — will likely beat this thing pretty handily. And moving to Apple’s next in line for $150 will crush it. Totally, completely, crush it. And you’ll be able to do more in both cases because you have the great iLife suite right out of the box! If you must have a TV tuner on your next computer, get an iMac and add one of the external tuners available. If you must have a TV Tuner on your next computer and it must be a PC, look at Dell’s One. In my view, the AIOPC just doesn’t cut it. Apple iMac Graphics Firmware Update for ATI HD 2600? Maybe Not. So Apple releases a firmware update for iMacs with ATI Radeon HD Graphics. OK, I run Software Updater but it doesn’t register. No biggie, maybe they just haven’t rolled it to the auto-updater yet. I’ll check it out and download directly instead. running Mac OS X 10.5.2 or later. Perfect. Mine’s currently 113-B2250F-219, so it looks like I need the update. Rats! Well, that explains why Software Updater didn’t find it. What other criteria (that Apple doesn’t specify) preclude me from needing this? Or is the prerequisite check in the installer broken, and it won’t apply to my system even though I need it? Whatever the case, I’m not alone in having this problem. The Updated Mac Pro: Great Value With Four Cores! With all the talk about the updated Mac Pros coming with 8 cores standard, I think one thing has been understated: There’s still a 4-core version. What struck me most when looking at the new standard Mac Pro configuration was that, at $2,799 it was $300 more than the old standard configuration. It’s very unusual for Apple to do this. Updated models usually offer more while being the same price or less. To be sure, there are so many improvements the extra $300 is well spent, but still it seemed strange. But when you look at the configurable options, you’ll see there’s a 4-core model for $500 less. And this isn’t just the older 4-core machine, but a new one with all the updates of the 8-core models sans one Xeon processor. So this is the machine to compare with the previous standard configuration to get a feeling for the kind of bang for the buck Apple is now providing. And while the processor speed may seem minor, keep in mind the new cores are Intel’s latest processor; increased performance is not just a function of clock speed. You get all the above for $200 less than the old standard configuration! Clearly, Apple added a ton of value to the Mac Pro this week. Widening the iMac and Pro gap. Apple has corrected this: The base Pro’s HD 2600 XT graphics card is an improved version of the 2600 Pro; The Pros now come with 2MB RAM standard; The slowest Pro clock speed is now 2.8 GHz. These may seem like small things, but a Mac Pro buyer now knows that even when buying the lowest model it still has better graphics, more RAM, and more processing power than even the best iMac available. If I was a Pro buyer I would think that’s important. The fact is the latest 2.8 GHz Core 2 Duo Extreme iMac faired pretty well — maybe too well — against the old standard Mac Pro (i.e., the Quad 2.66 configuration). That will no longer be the case, and I think it’s an important distinction for Apple’s Pro line. Bridging the iMac and Pro gap. Dell’s New All-In-One PC vs. Apple’s iMac. While technically not available until Monday, 11/19, you can actually pre-order Dell’s new XPS ONE PC now for shipping later this month. Gateway’s latest AIO machine is also called the One, so I wonder why Dell used the same name. Will Gateway sue? Can they? Would they even care? I didn’t write up Gateway’s machine because, frankly, it’s unimpressive. Only a 19” screen, weaker processors by iMac standards and too expensive for what you get. 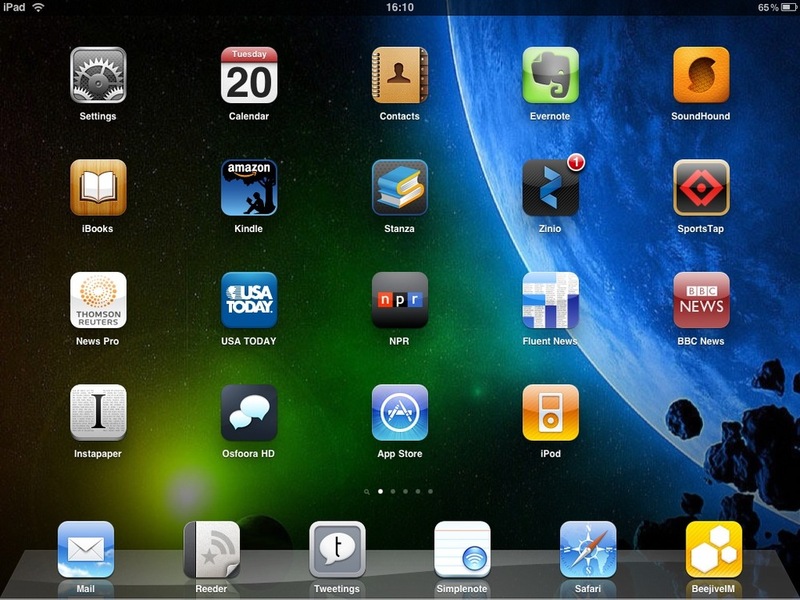 Display – The Ones all have a 20” display; not sure why they don’t offer something bigger. It doesn’t say the resolution, but I assume it’s 1680 x 1050. Apple offers 20” and 24” displays. Graphics – This is where Dell saved their money, and it’s too bad. The two low-end Ones use integrated graphics, and that’s a shame. With more and more use of a GPU in software these days, and more sophisticated photo and video software used even by the average Joe, I think a desktop machine should have a dedicated video card. Certainly one starting at $1,499 should. Meanwhile, the two high-end Ones come with the ATI Radeon HD 2400 Pro, which is still a step behind the lowest-priced iMac ($1,199 with an HD 2400 XT). Think about that: Apple put a better graphics card in their low-end model (at a price Dell doesn’t even offer) than Dell put into their high-end models! Meanwhile, all other iMacs come with the next-generation HD 2600 Pro. Wireless – All models include a wireless keyboard and mouse. They also include Bluetooth and b/g/n networking. Dell should have chucked the wireless KB and mouse (from Apple they’re $59) and put in better graphics. Memory – All models include 2GB RAM. The truth is Vista Home Premium really needs this, but it’s a good decision nonetheless. The iMacs are 1 GB except for 2GB in the Extreme edition. Drives – For the four Ones it’s 250, 250, 320, 500. I see no option in the BTO to change any of these. A shame, in my opinion, though these are good sizes. Apple offers 250, 320, 320, and 500, with BTO options up to 1TB. TV Tuner – All Ones include a TV tuner and remote. Personally, I just don’t think it’s of much use to the majority of people getting a computer. Still, there it is. All iMacs include a remote. Media Reader – All Ones have an 8-in-1 card reader. I wish Apple would put these in the iMac. Lots of people are buying a computer for that whole “hub of my digital life” thing Apple talks about. A card reader makes it a lot easier to get your digital life into your machine. Software – Dell stepped up here, and it was a smart move. They include Adobe Elements Studio on every model. Until I switched to Mac, I ran Adobe Photoshop Elements and Premiere Elements and can tell you they’re fine products. Studio also includes Soundbooth CS3; I ran a trial of that and found it be a good product as well. Clearly, this is Dell’s way of countering iLife on the iMac. Instead of relying on Vista’s weak photo and movie software they got something that could actually compete with iPhoto, iMovie, and Garageband. Further, the two low-end Ones get MS Works (OK, OK, big deal), and the two high-end Ones get MS Office Student and Teacher addition. Bottom line is if you buy either high-end model you’ve got all the basics covered with great programs in all categories. Well done, Dell. All iMacs includes the excellent iLife, and iWorks is available for $79. Price – The One’s price seems reasonable, and a good value. Starting at $1,499 you get a 2.2 GHz C2D mobile processor, the Adobe suite, MS Works, built-in TV tuner, 2 GB RAM and a 250 GB hard drive. The weakest link, by far, is the on-board graphics. I especially think Vista and the Adobe suite will be hampered by the lack of video oomph. The next model is $250 more and kind of silly to me; it simply increases the warranty and includes wireless headphones. The next model is the one I like the best. At $1,999 it drops the headphones but adds the desktop 2.33 GHz C2D, the ATI 2400 HD Pro, a 320 GB drive, and MS Office Student and Teacher. Finally, there’s a $2,399 model that bumps the drive up to 500 GB and adds a Blu-Ray DVD. It looks to me like Dell paid attention to the latest iMac announcements. Their pricing is pretty competitive. For $1,499 you can get a 20” iMac or One. If the inclusion of Adobe Elements Studio negates the iLife advantage, then the One has advantages in RAM, the card reader and the TV tuner. The iMac has advantages in the faster C2D processor, ATI HD 2600 Pro card (a huge advantage over built-in graphics), and a 320 GB drive. Take your pick, but I believe the iMac has a clear performance advantage. At the higher end, take the One’s $1,999 model and the iMac $1,799 model. To the latter add iWork; now it’s $1,878. The Dell has advantages in RAM, the card reader, the TV tuner, and the desktop processor. (This is not an advantage, see update below.) The iMac has advantages in the 24” screen (which is a big thing, no pun intended), faster ATI HD 2600 Pro graphics, faster processor (see update below), and a lower price. Again, take your pick but both very nice machines. As for aesthetics, I like the look of the Dell except for the speaker “ears” hanging off the side. These are already wide-screen machines, so making them even wider with the speakers looks awkward to me. Still, I think it’s a decent looking machine though I like the aluminum iMac look better. One aesthetic I can’t gage is volume. I expect the high-end Ones with a desktop processor to probably need some fanning. While even the iMac 24” with C2D Extreme at 2.8GHz makes not a sound, it’ll be interesting to see how quiet the Ones are. Only time will tell regarding overall quality, performance (we know about performance, see update below), etc., but on the surface I think Dell is off to a good start with the One. They certainly appear to have avoided most of Gateway’s mistakes in terms of features and price. [UPDATE:] C|NET has reviewed the Dell high-end (Blu-Ray drive) model, and the iMac 2.4GHz (with an extra GB of RAM added) soundly beat it on every performance test. In some ways I’m actually a little disappointed in this. I thought the move to a desktop processor was a pretty bold one for Dell, and while I had concerns with extra fan noise (or even overheating), I though that the slightly slower clock speed (2.3GHz) would be made up for by the much faster bus speed (1333 MHz vs. 800). Obviously not. I guess Dell didn’t do their homework enough, or perhaps Apple did. Maybe Dell just went with bottom-line savings (I assume desktop processors are still less expensive than their mobile counterparts). Either way, Dell’s high-end configuration got trounced by Apple’s mid-level machine (remember, Apple’s high-end is a 2.8 GHz C3D Extreme). In my article I talked about the performance advantage the $1,499 iMac should have over the same-priced Dell. Given these scores from C|NET on Dell’s best, I’d think the comparison of the $1.5K models would be an embarrassment for Dell. As I said, the Adobe suite is nice. Mac Daily News poo-poohs the software, but they’re wrong. However, the Adobe suite is not a package that takes to slow machines kindly. If I had any complaint it was its sluggishness. The fact that even the high-end Dell is not an impressive performer does not bode well for it. Further, I think the Adobe suite on the entry level might be exasperating. Note to Dell: don’t include useful software if you can’t include hardware to run it on. So, does the new performance data take the shine off these new Dells for me. Yes, a little. I think Dell sunk perhaps too much money into software and went cheap on the graphics and CPU power. Perhaps they had no choice. They needed a counter to iLIfe, and they needed to keep the prices in line with iMacs. I guess shooting for the iMac isn’t so easy after all, but I still believe Dell came a lot closer to the target than Gateway did. [UPDATE #2] PC Magazine just published a biased review and likes the One better than the iMac. How do I know it’s biased? They used the older Adobe Photoshop CS2 as one of the tests. Since this does not run natively on Intel Macs, the Dell was able to beat the iMac (though not by much). Pretty pathetic on PC Mag’s part, but whatever. Even with the grossly unfair testing, the iMac still won half the tests. Bottom line is that even when running Photoshop natively the One could only beat the iMac by eight seconds running Photoshop in emulation! Heck, even PC Mag’s own scores show the iMac over three times faster on the 3D benchmark test! In other words, the iMac blows the doors off the One, just as C|NET had shown. You mean like “Where did the computer go?”, Apple’s tag line for the iMac years ago? Geez, is this guy 19? Did he just start reviewing PCs? Maybe that’s why he hasn’t saved enough money from his paper route to get the current version of Photoshop. Pathetic. Oh well, I guess sometimes “PC Mag” has to live up to its name, but this is very blatant bias in my opinion.